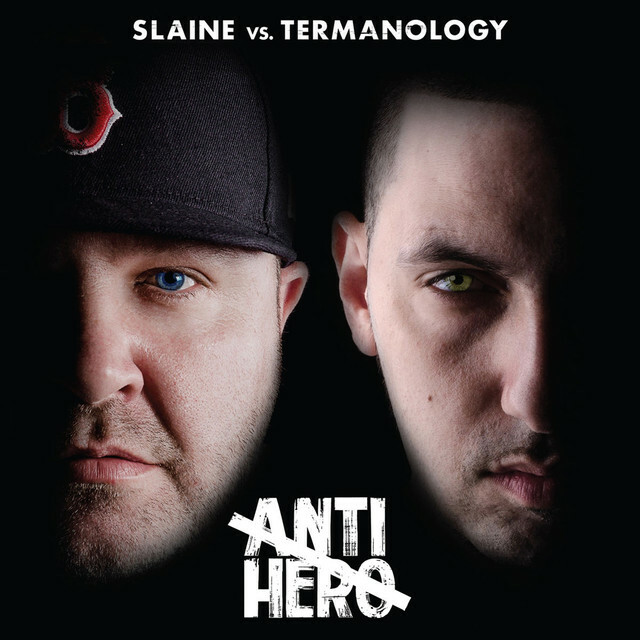 La Coka Nostra veteran Slaine and Termanology will finally combine forces like Captain Planet for their collaborative LP Anti-Hero. Album dropping October 6. Support! That shirt you’re wearing [a Run-NYC Knicks shirt] is awesome. You wanna hear something cool? Me and DJ Premier just did the new Knicks anthem. YES. And it’s New York City. It ain’t no EDM, it ain’t no pop music. It’s dropping very soon. Just got the final thing. It’s KILLA. That’s all I gotta say. It’s real tough. It was my first time working with DJ Premier. It’s the New York Knicks new anthem. It’s hard. [Starts rapping.] The attitude and the mood is New York / Nobody can do it like New York / This is how we do it in New York / So let’s show ‘em how we do it in New York / Let’s go! Is that a sample of what’s to come? Yeah. And then the beat drops and it’s over. I can only applaud that! New 12inch single with a DJ Premier remix on it… Thanks again to Slice of Spice, keeping hip hop and vinyl alive. Available via Slice of Spice website, Fatbeats and in Europe… HHV.de.